During the early 1960’s, blended Scotch was dominant. It is still dominant, but back then there was no single malt market to speak of. The Grant Family, owners of Glenfiddich, decided to hold back a portion of their stocks that was otherwise destined to feed the monster of blends. 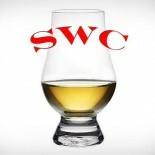 Single malt was thought of at the time as too flavorful and distinct for the world’s tastes. If that were true, then the move would be a mistake. The whisky was bottled and sold as a single malt nonetheless. The decision is still bearing fruit to this day. That distinct bottle launched in 1963 was Glenfiddich 12 Year Old, and is the subject of our review today. Glenfiddich is now the world’s biggest selling single malt and perhaps the single most widely available malt on the market. From pharmacy to bar to cabinet, it’s everywhere. Glenfiddich also produces their whisky entirely on site from malting to bottling, a rarity in the Scotch world. Even an onsite cooperage manages every cask their whisky is poured into by refreshing and refurbishing the American and sherry oak (about a 90/10 ratio) for quality. Let’s give it a go. Nose- Green apple and pears. Sweet. Bakery bread and malty cereal. Flowery. Black liquorice. Honey and vanilla with time. Taste- Honeyed grain and sweet vanilla. Floral touches with oak. Finish- Drying, medium length. Light trace of peat/rubber. Oak and tobacco. Comments- Perhaps not the most cohesive and balanced of malts, but a light, pleasant and enjoyable Scotch nonetheless. Nose is the highlight.